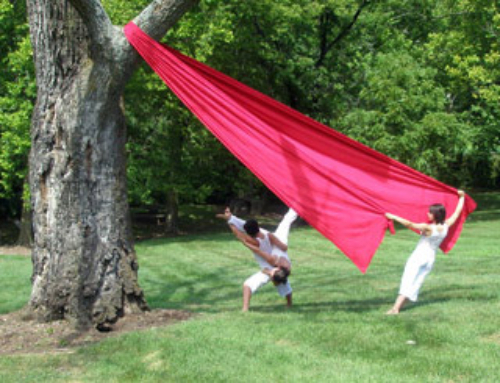 Dublin Arts Council, The Ohio State University Department of Dance and OhioDance first collaborated to present Gravity’s Ripple, an original, site-specific outdoor contemporary dance project in 2009. The educational project included master classes for elementary and high school students and culminated with a free public performance on the sloping riverfront grounds of the Dublin Arts Center. The approximate 40-minute performance was inspired by the rolling hills of the site and the Scioto River and was followed by a question and answer session between the choreographer, the dancers and the audience. The project is part of DAC’s ongoing project Ripple Effect: Artistic Impact of the Scioto River, designed to offer ongoing and unique opportunities for visual, performing and interpretive art projects associated with investigation of the Scioto River. Annie Kloppenberg was selected by a jurying process to choreograph the work. Kloppenberg has worked as a performer and choreographer, teacher and arts administrator in both Boston and New York City until moving to Ohio to complete her MFA from The Ohio State University. Kloppenberg’s work includes the multimedia evening length Indelible Marks, which premiered at OSU and was later performed at the historic Judson Church in New York City and at Green Street Studios, a center for dance and movement artists in Cambridge, Mass. Kloppenberg had previously worked with a group of counselors at the Bates Dance Festival Young Dancers’ Workshop in Lewistown, Maine to create a site-specific piece for the students. 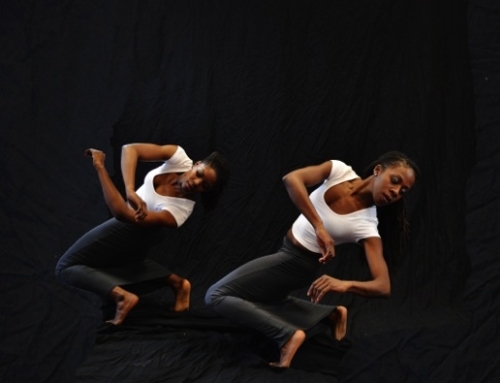 She was selected by Dance Theater Workshop in New York for an Outer/Space Creative Residency, through which she began her next project after Gravity’s Ripple. She performs and teaches nationally with the Columbus-based improvisational trio, Like You Mean It. Dancers for Gravity’s Ripple were chosen by audition at The Ohio State University, and included undergraduate and graduate students, some of whom have danced professionally. Kloppenberg engaged the dancers collaboratively in the creation of the performance, which included both large group dance and a series of small dance vignettes. The 2009 Gravity’s Ripple project was supported by a Franklin County Neighborhood Arts Grant from Greater Columbus Arts Council and grants from the Martha Holden Jennings Foundation, Ohio Department of Education, The Ohio State University Department of Dance, and Ohio Arts Council.